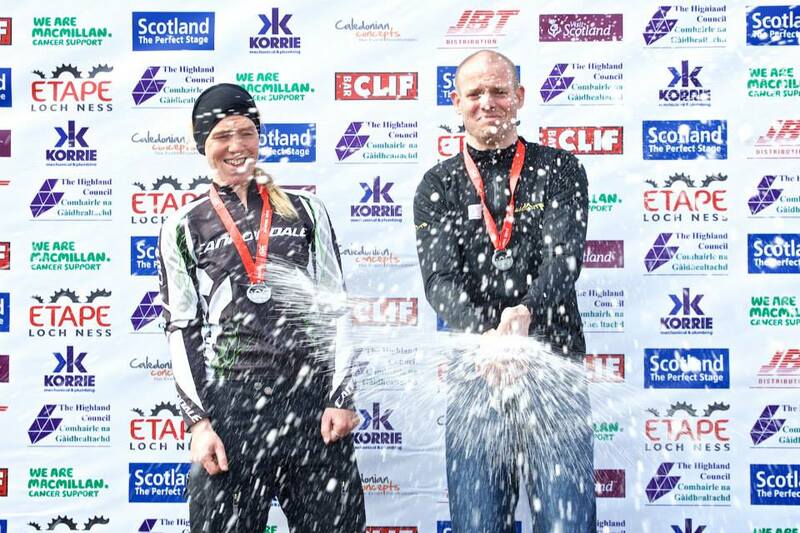 1st woman, 14th overall and QOM @EtapeLochNess this weekend. 66 miles and 900m all before breakfast! A great event in my home town of Inverness. 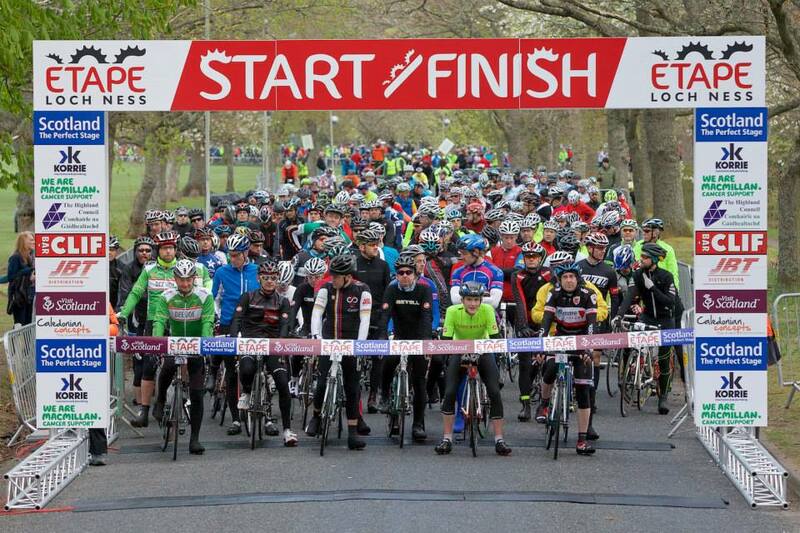 Nearly 3500 people gathered to ride round the Highland’s iconic Loch Ness this Sunday morning. With the A82 on a rolling closure to traffic, this was an event not to be missed and so I found myself sitting at my kitchen table at 4am spooning porridge into my mouth in preparation for the early morning start. At 6.20am I set off in the first wave of 200 riders and was gently towed along at a steady 23mph all the way down the loch side. The story changed in Fort Augustus though with a 9km climb up Glen Doe where the pack split into chards and we all got lost in our own bubbles of misery. Jamie Henderson (the first man back) broke free followed by a group of chasers. I lost these guys too when the road levelled half way up the climb and my frozen fingers couldn’t operate my gear shifters! I tried in vain to shift up and stay with them but I might as well have been a penguin for all the effect my hands were having on my controls. I topped out after 23 minutes near max effort and tried to close the gap to the break on my own. I made it to Foyers after a solitary few miles then tried working with a young lad who had fallen off the break. 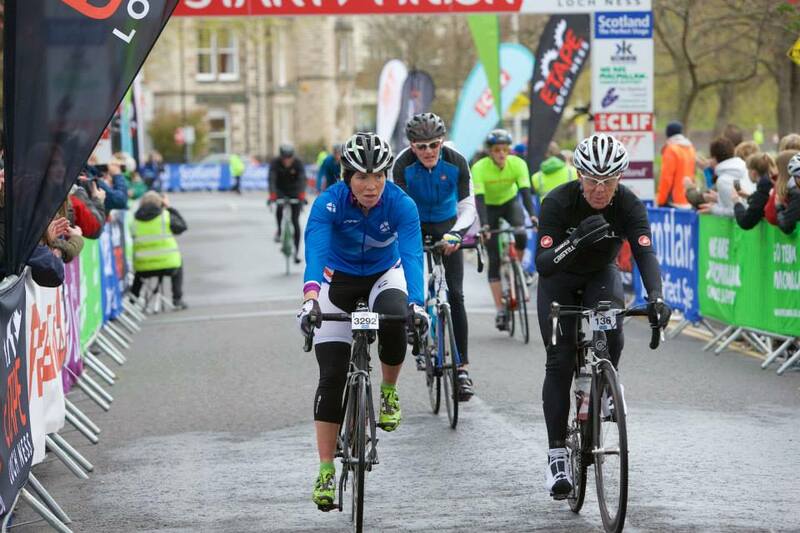 He was strong but we got swallowed by the chasing group and worked with them back to Inverness. I came over the line amongst a strong pack in a time of 2 hours 57 minutes and 33 seconds. It was 9.20am. I’d be about getting up now on a normal Sunday. 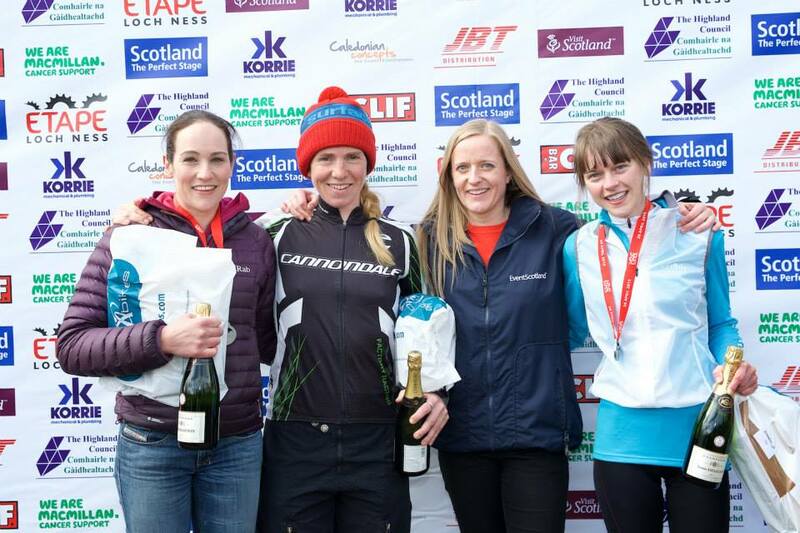 Well done to Ingrid Kidd (Angus Bike Chain) and Rachel Crichton for their 2nd and 3rd places and to Jamie Henderson (Limits Technology) 1st, Gavin Beaton (MFCC) 2nd Paul Gallacher (Fife Cyclcing) 3rd overall. Enormous thanks to the organisers Caledonian Concepts and their sponsors, partners and volunteers for an amazingly well organised event. And to Cannondale UK who, as ever, supply the tools for me to do my job.